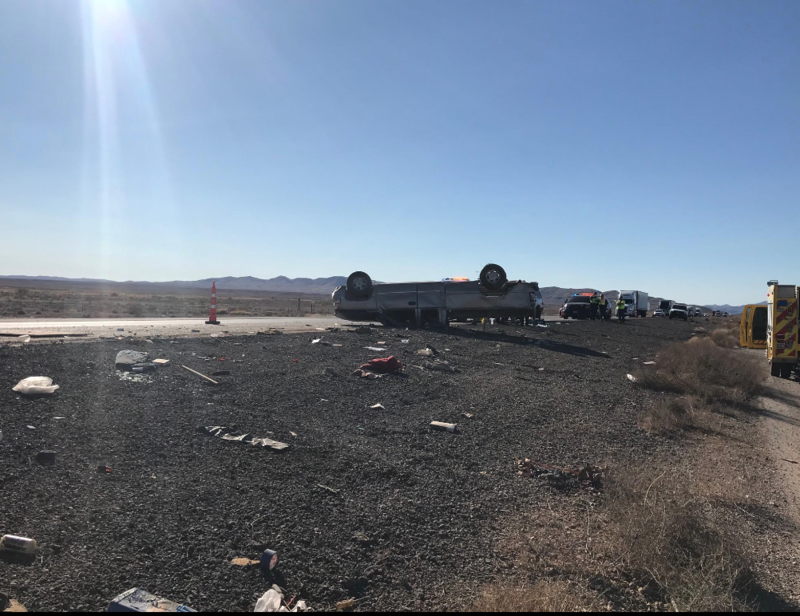 ST. GEORGE — A driver was killed in a rollover crash Tuesday on Interstate 15 just south of Moapa, Nevada. 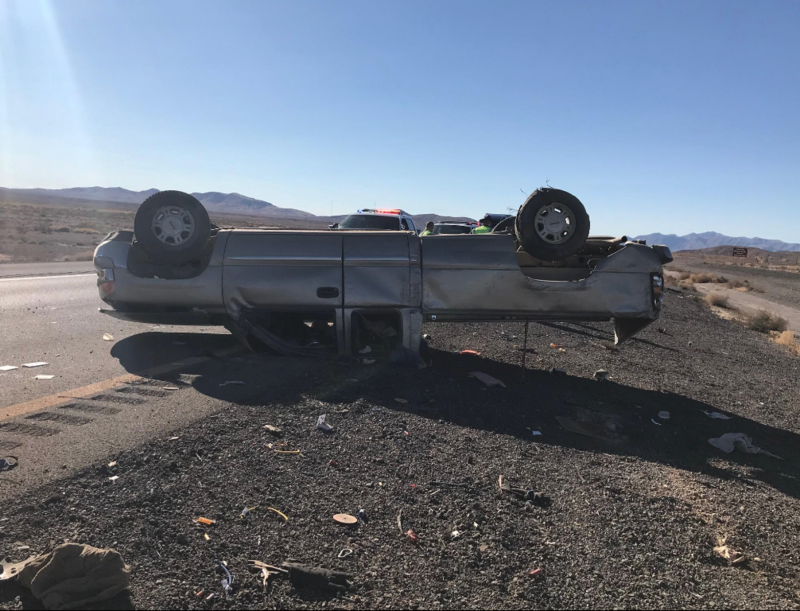 Shortly after 9:30 a.m. Nevada Highway Patrol troopers responded to the crash near mile marker 74, just south of the Valley of Fire exit, involving a 2000 GMC pickup truck, Nevada Highway Patrol Trooper Jason Buratczuk said Wednesday. 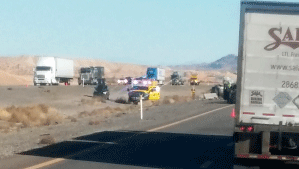 The driver, a 59-year-old man, was from the Logandale/Overton area in southern Nevada. 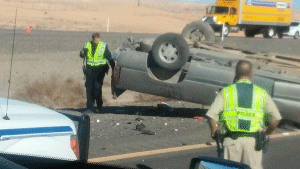 Crash investigators determined that the GMC was heading north on I-15 when one of its tires blew out. The driver lost control of the pickup as he over-corrected, which sent the truck into a roll. The pickup rolled over and came to rest near the median of the interstate, landing upside down and partially blocking the left lane of travel. “The unrestrained driver was ejected during the crash and was pronounced dead at the scene,” Buratczuk said. One lane of I-15 in both directions were closed for several hours Tuesday for the fatal-accident team to investigate the crash. Poor guy, Rest in peace.